Hyundai customers can now avail the benefits of the 24X7 Roadside Assistance Retail Programme (RSA) even after expiry of the warranty period. The programme, designed to help customers receive immediate assistance and aid in the event of a breakdown, was earlier available only up till a period of six years from the date of delivery of the vehicle. 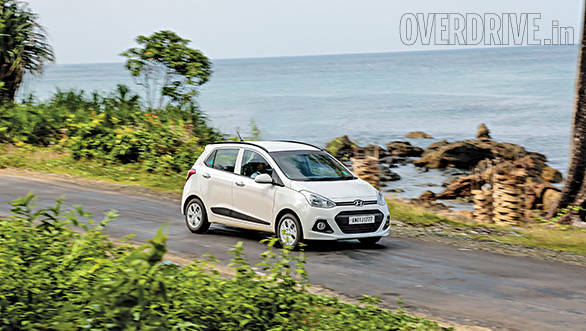 However now, Hyundai Motor India Limited offers the policy to existing Hyundai users at a price of Rs 899 for a year's coverage. A two year coverage would cost Rs 1,499 and for three years, the cost would go up by a further Rs 500. Regarding the new policy for the programme, Rakesh Srivastava, senior vice-president, sales and marketing said, "The Hyundai Roadside Assistance Program was launched in 2010, with the aim of providing emergency roadside assistance services round the clock to ensure a hassle free Hyundai ownership experience. This year we are extending the policy for all customers aiming to provide them pan India reach with maximum assistance, benefit and services." Hyundai owners whose vehicles are still under the warranty period can also purchase a fresh policy at the above listed prices. o A Special RSA designed for the customers' vehicle beyond warranty period o Pan India reach with Hyundai RSA Retail Program New Delhi, September 29, 2014: Hyundai Motor India Limited (HMIL), the country's largest exporter and the second-largest car manufacturer in association with Allianz Global Assistance (AGA) has introduced a special 24x7 Roadside Assistance (RSA) extended Program for the Hyundai customers beyond the warranty period. Hyundai's Roadside Assistance policy can be availed at a nominal amount that will help customers to maintain the roadside assistance for years to come. Hyundai Motor India offers services, maintenance and roadside assistance for the new vehicle purchase with unlimited kilometers. The program is designed to enhance the customer ownership experience and ensure that customers get immediate and hassle free service in the event of any breakdown. On the RSA Program, Mr. Rakesh Srivastava, Sr. VP - Sales & Marketing said, "The Hyundai Road Side Assistance Program was launched in 2010, with the aim of providing emergency road side assistance services round the clock to ensure a hassle free Hyundai's ownership experience. This year we are extending the policy for all customers aiming to provide them pan India reach with maximum assistance, benefit and services." Customer can avail the RSA Program at nominal price: RSA Package Details Rs. MRP (All Inclusive) 1 Year Coverage 899/- 2 Year Coverage 1,499/- 3 Year Coverage 1,999/- Eligibility Criteria The maturity of the coverage would be upto 6 years from the date of delivery of the vehicle to 1st customer. The policy can be purchased within warranty period also. Refer the table as selling criteria as per the vehicle age.